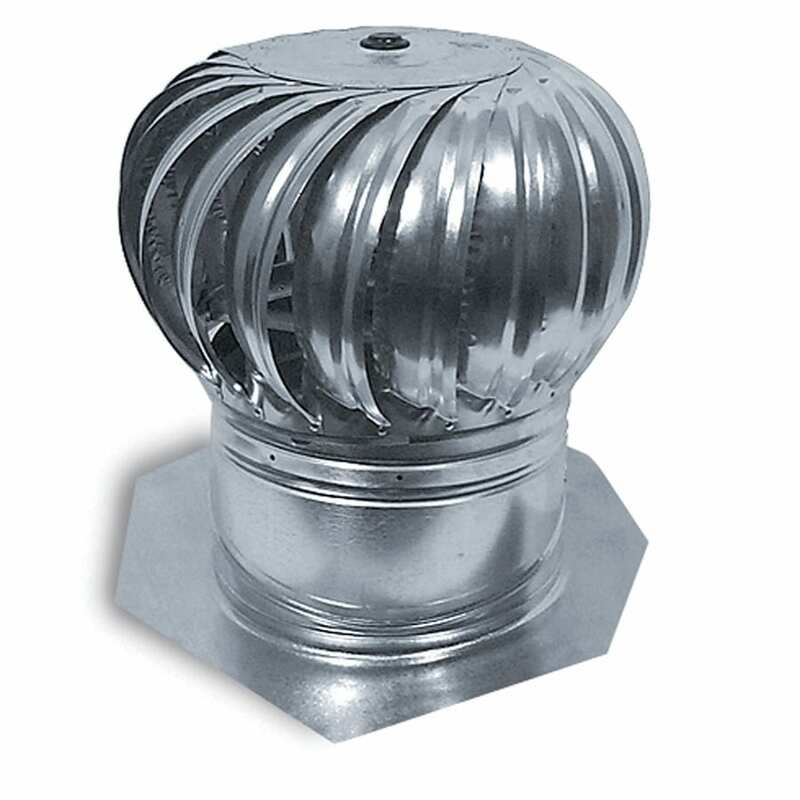 The Masterflow vent from GAF is a rotary turbine that comes constructed from durable galvanized steel. Steel construction ensures that the ventilator is able to withstand weather conditions while delivering a reliable performance. The throat size of the Masterflow vent is 12 inches. This makes it suitable for both domestic and commercial use. 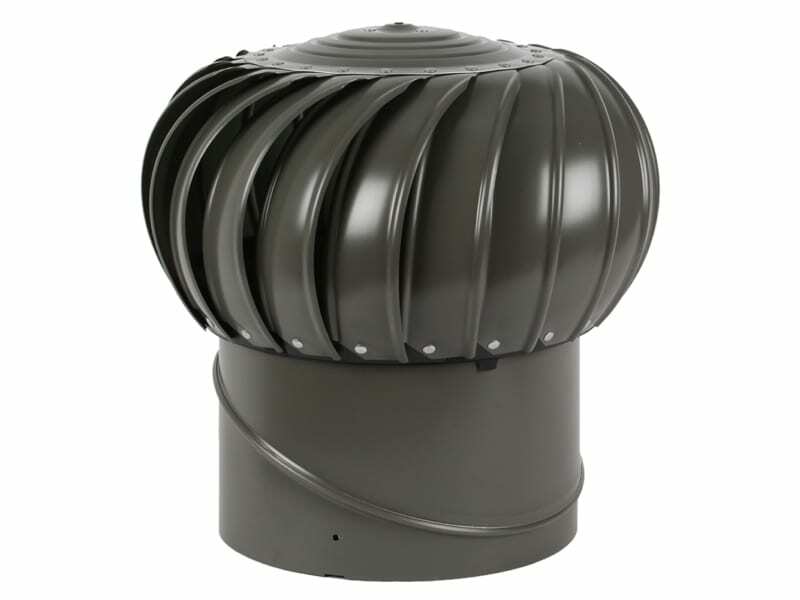 The vent is effective enough to ventilate roof space and remove both humidity and heat. GAF offers the Masterflow vent in internally braced and externally braced models. The internally braced model comes with convex top and double-ribbed vanes. 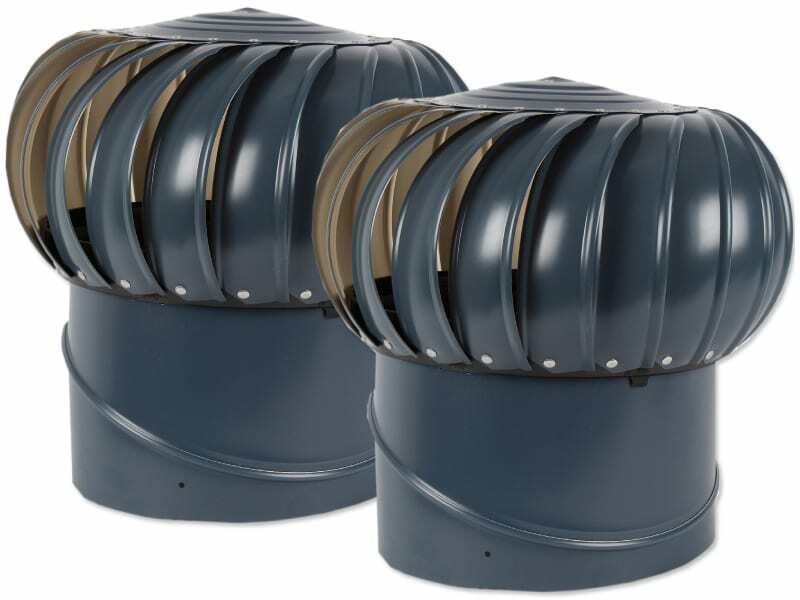 The aerodynamic design of the vent allows it to rotate even in very low wind speeds and achieve effective ventilation. GAF has used upper and lower stainless steel bearings inside this vent. 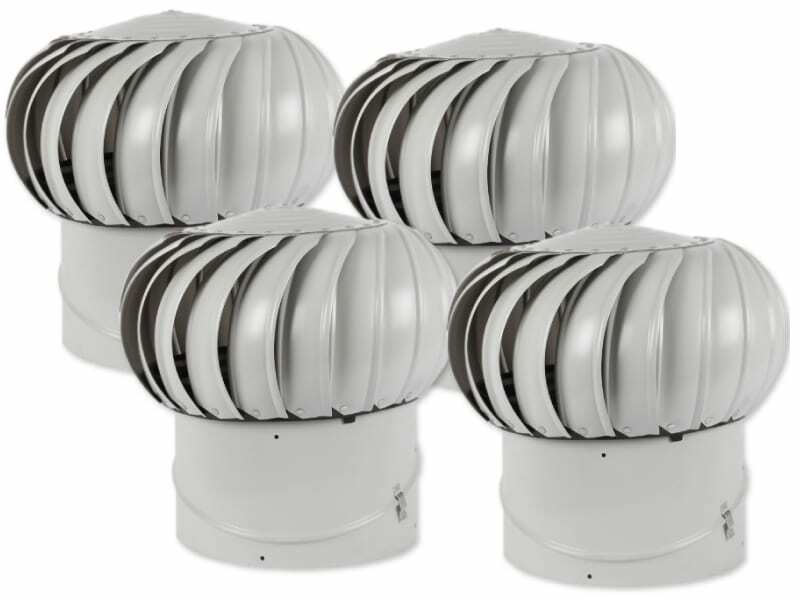 These offer a noise-free and super-smooth rotation. 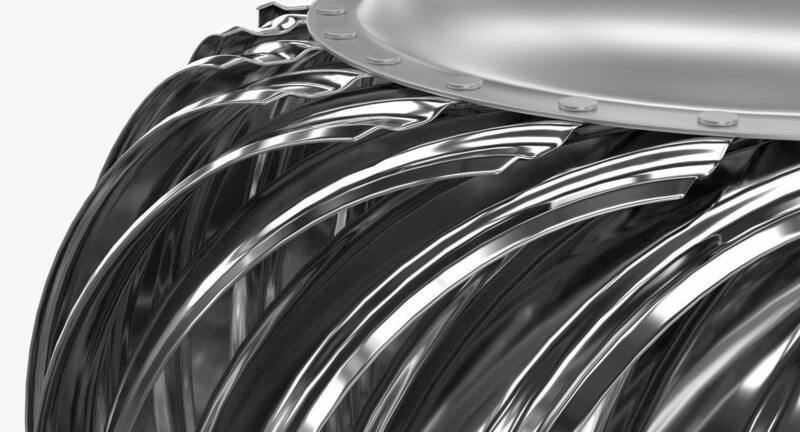 The self-lubricating bearings require little to no maintenance on your part and offer an exceptionally long life. GAF Masterflow 12-inch is a great way of reducing the energy costs of your home. During the summers, the vent removes hot air trapped near the ceiling space. This keeps the indoor temperatures low and reduces the load on your air-conditioning system. In winters, the vent removes moisture-laden air that rises towards the ceiling. This prevents potential damage to the roof structure and also keeps the indoor air dry for easy heating. The 12-inch model is available in a number of colour options including black, mill and weathered wood. Its overall dimensions are 18” x 18” with a base size of 12 inches. 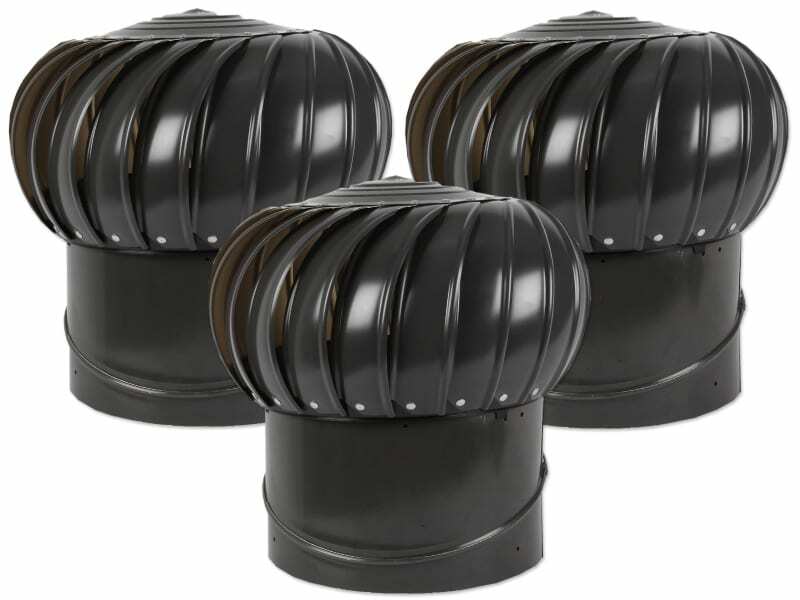 For most buildings, GAF offers a lifetime warranty on the 12-inch Masterflow vent. In some cases, the company offers a 40-year warranty.